A budget planner for the savvy traveler. Inspired by the budgeting pains experienced by our well-traveled team, Wanderbucks was entirely designed and created by Hydric. A mobile app exclusive to iOS, Wanderbucks helps users save up for their vacation, as well as keep an eye on fluctuating international currencies. With so many potential features to explore, the primary consideration for the Hydric team was how to keep the app simple to use whilst still delivering a set of useful features. We wanted to create a useful tool that would truly help fellow travelers realize their travel goals. 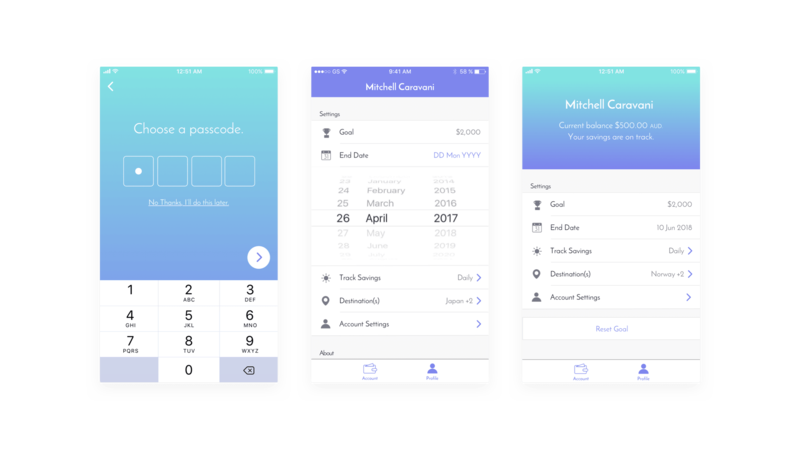 Our first challenge was to build budgeting logic, where the user could easily input their goal savings amount and deadline to receive the amount they should be saving per day, week or month to hit their goal. Initially, this also relied on the balance of the user’s bank account. We leveraged Yodlee’s REST-based API to allow users to connect their bank accounts and see real-time financial forecasting updates as the account balance changed. Ultimately though, the desire to keep Wanderbucks as affordable as possible for users won out, leading the team to remove this element in favor of a more elegant solution that avoided monthly fees. The other challenge for creating Wanderbucks was incorporating real-time currency conversion. Many travelers will know the pain of saving up for a trip only to be caught out by poor conversion rates and having to re-think their budget last minute. This feature allows the user to see what their savings convert to in the destination currency of their choice. They can select an unlimited amount of international destinations to add to their account and simply swipe through the currencies on the ‘Progress’ tab to see how their savings measure up. Best of all, these conversion rates are in real-time, so fluctuations can be easily tracked. 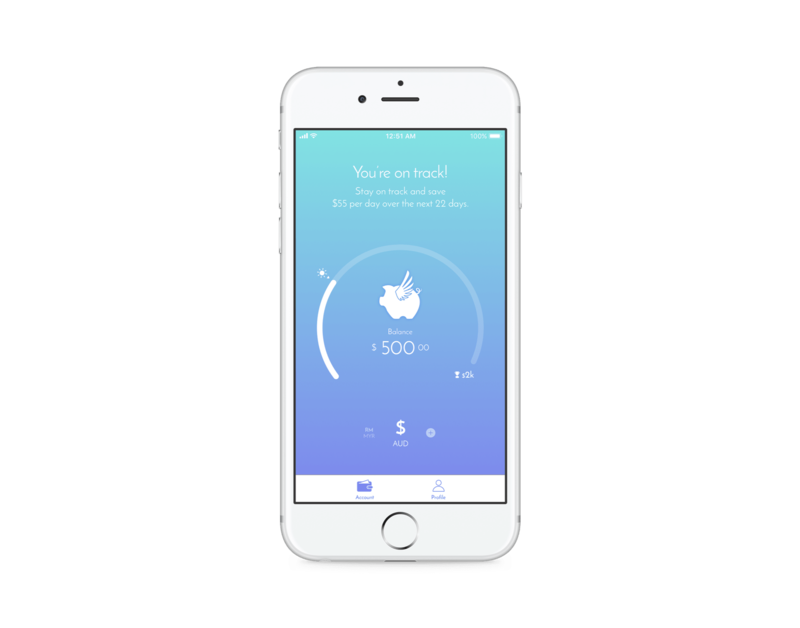 The end result is a neat, simple and useful mobile app that is already helping money-savvy travelers satisfy their wanderlust. Wanderbucks for iOS went live on the App Store in December 2017.